I have always had a passion for art even as a young child. It has been a place where I can connect to my creator by creating works that glorify Him. I believe art allows people to express themselves in ways words cannot. Teaching that gift to young students and allowing them to connect to God though art has been such a blessing these past two years. 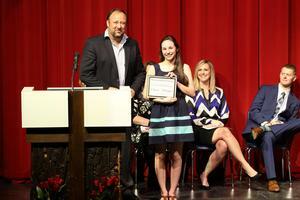 Concordia Lutheran High School honored its seniors tonight, April 14, with department awards and scholarships as well as for their high school accomplishments. The prayers of our school community are with you and your family in the coming days as we journey from Palm Sunday’s parade through Jerusalem, to the events of Holy Week, culminating with Christ’s resurrection on Easter Sunday. God’s hope and promise of life eternal are ours through the death and resurrection of our Savior, Jesus Christ. With confidence we celebrate His love to us as we live in relationship with Christ and with one another. It is from Christ’s death and resurrection that Concordia Lutheran High School exists in serving and educating our community. Happy Easter. He is Risen, Alleluia! 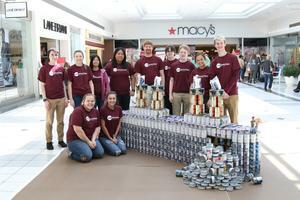 Concordia Lutheran High School students are being SOUPer Heroes this year for CANstruction, an event to support Community Harvest Food Bank. From 5-7 p.m. April 26, the school will host a chili fundraiser for $20 per person. 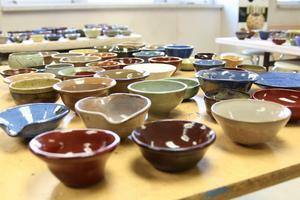 Each person will receive a handmade bowl, made by a CLHS student, faculty or staff member, and a chili dinner. Along with the bowls, there will be other ceramic pieces to purchase. There will be mugs with hot chocolate and small planters with spider plants grown in the art room. 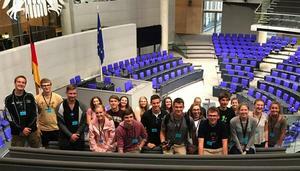 Twenty CLHS students are preparing to embark on a German travel adventure. Two days after graduation, these students and their teacher (Herr LaCroix) will travel to Lüdenscheid, Germany for four weeks of immersion living through GAPP (German American Partnership Program). During the days just before spring break I invited students to contribute to a "mural" on my white board, with the theme "What I LOVE about Spring Break." 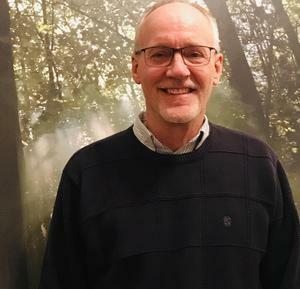 Ted Hathaway has been named the new head coach for the boys tennis program at Concordia Lutheran High School.